This page lists some valuable sources of inspiration and helpful tools that can help you create game worlds or rules. HexTML – A simple hex grid editor that allows you to color hex fields, place icons and text labels and export your map as an image or as an HTML file. It is similar to Hexographer but far more limited and the default terrain icons look a little less professional. It’s currently free but it looks like it was intended to have a pemium paid version one day. It takes quite some time to get used to the interface and making maps from scratch is still a lengthy task. 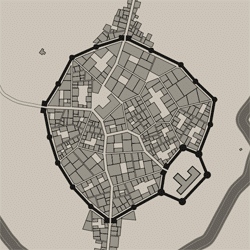 ★ Azgaar’s Fantasy Map Generator – A fresh approach to map building. The software automatically renders continent outlines, generates random towns and countries with name and allows you to change it all later by hand. You can save the map file and export your map as an image or SVG file. The method how land masses and height maps are generated follow some smart and quite realistic principles that guarantee believable results. 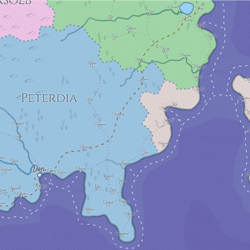 Campaign Cartographer (by Pro Fantasy Software) – The professional tool for map makers – not very cheap and not for a quick start or fast results, this tool produces the best maps next to painting them manually. It has a steep and long learning curve though and one should be willing to invest many hours of learning and testing before creating satisfying results. The producer has a large collection of similar tools available, like Dungeon Designer or Source Maps. Buy only if you intend to create high quality maps for commercial use. AnaMap – (requires Flash) A simple tool for quick dungeon maps. A very limited and abstract list of placeable icons and a simple labeling allow you to create small dungeons easily and export them as PNG files. You are limited to about 50×50 grids. Dave’s Mapper – a dungeon autogenerator that offers a few settings like dungeon size, open/closed edges and about 30 different map styles, that can be combined as you wish. Dungeons can be edited by rotating or replacing tiles. You can export your map as an image and save it locally. It also offers a cave map maker, city map maker, side-view dungeons and sci-fi floor plan maker. Dungeon Painter – a dungeon painter editor with a library of tiles and objects. Dungeon can be exported as PNG/JPG or PDF. Offers hex/square grid, multiple layers but decoration libraries are blocked in the free edition and I couldn’t find doors anywhere within the available objects at all.